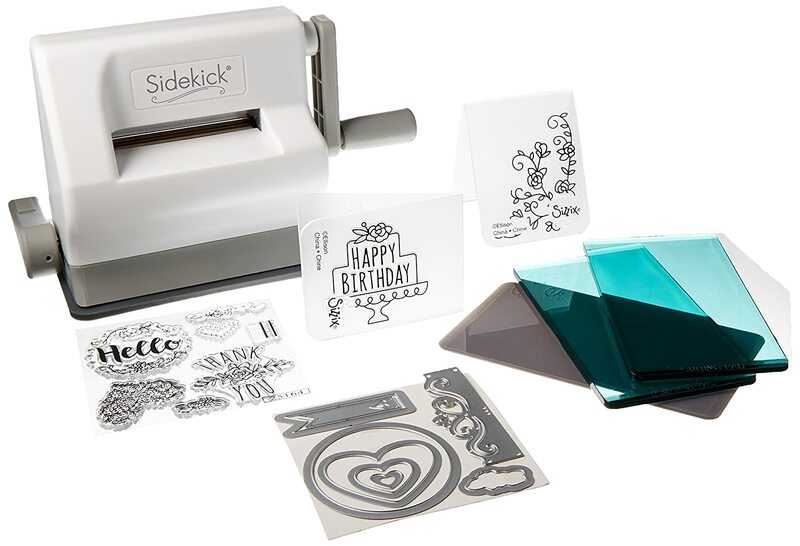 Amazon has the Sizzix Sidekick Starter Kit for only $27.37. Clip the digital coupon to pay only $26.52, regularly $49.99. This is a portable, affordable and adorable crafting system. The starter kit also includes 6 framelits dies, 2 thinlits dies, 2 small textured impressions embossing folders and 7 stamps to get you started crafting right out of the box. Perfect for scrapbooking, card making, home decor and party, event and wedding planning.